A delegation of artists has left the country for a fundraising tour to be able to raise funds for those affected by the worst natural disaster in the history of Pakistan. Joining the team are prominent Pakistani stars Adnan Siddiqui, Zeba Bakhtiar and Jawad Ahmed, who cut short his previous foreign tour to return home because of the floods. “It is difficult to make any estimate of the destruction caused by these floods. But I know that the biggest problem right now is that of food for survivors. Keeping the issue in mind, we have scheduled fundraising campaigns in different countries. As per our plan, we will first visit Manchester and London in the UK, where we will appeal to the people of Pakistani and other communities to support the cause. 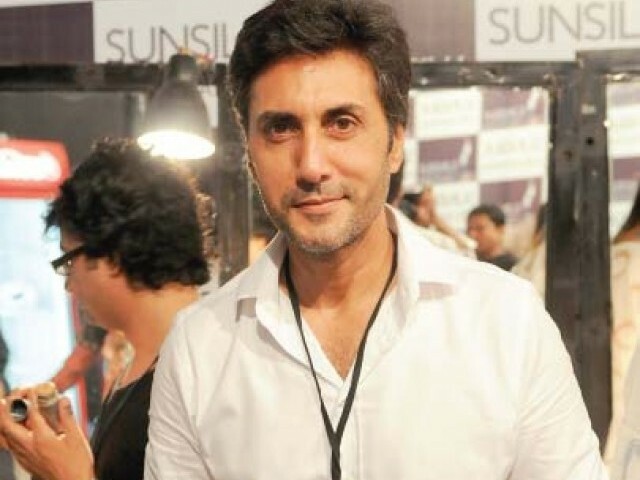 Later, we will go to the US where the campaign will be carried out in different states,” said Adnan Siddiqui. The actor further said that the relief campaign will continue till the rehabilitation of flood victims reaches a satisfactory point. As the artists from music, film and television industries continue to help out the survivors of the floods in Pakistan, we present a roundup of flood relief efforts undertaken by celebrities in the last two weeks. Fakhir is the latest music icon who is helping out. He is working with the Pakistan Navy to provide aid to more than 20 million flood victims. Strings, Sabri Brothers and Arif Lohar have participated in telethons to raise funds. Ali Zafar has planned shows with Indian artists around Eid. Hadiqa Kiani has collaborated with the Pakistan Army to send relief goods and Shehzad Roy, Abrarul Haq and Atif Aslam have visited flood-hit sites. Though the flood relief campaign initiated by the theatre artists came to an early end due to rain, comedian Rangeela’s daughter Farah Deeba with a theatre artist managed to collect donations at Liberty market in Lahore. PFDC Fashion Week will contribute to flood relief efforts. Lollywood designer Beejee sent a truck of relief goods to Muzaffargah and designers such as Nida Azwer and Syed Rizwanullah are also donating to different organisations. Actor Afzal Khan (aka John Rambo) hit the streets of Lahore to raise funds for the flood victims. Many others like Sangeeta, Reema and Babar Ali have also urged people to spend less this year on iftar parties and donate more and more for the flood victims. A meeting of cinema owners was held last week. Presided over by Chairman Pakistan Exhibitors Asso-ciation Zoraiz Lashari, the gathering called for suggestions to help victims of the floods. Every cinema will donate Rs5 to Rs20 per ticket sold during Eid. Published in The Express Tribune, August 26th, 2010. Previous Pigs – Loose Again?